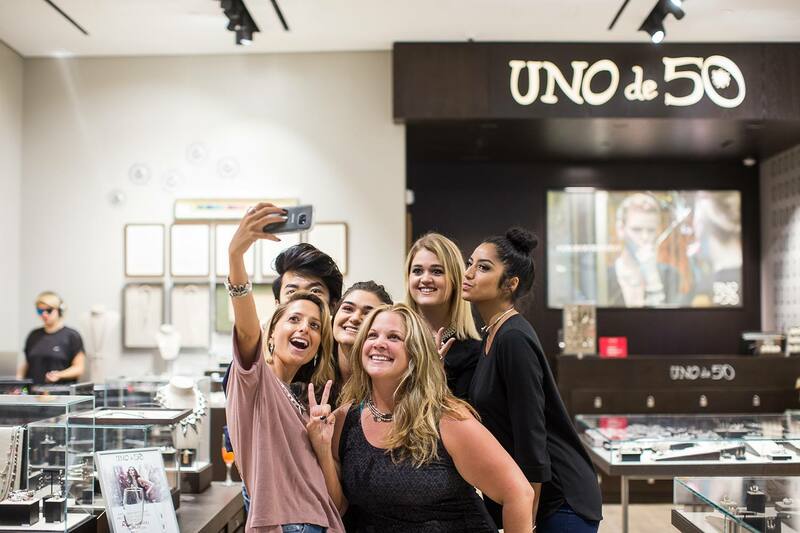 Just last weekend I had the pleasure of hosting one of the funnest shopping events at the UNOde50 boutique at CF Toronto Eaton Centre. 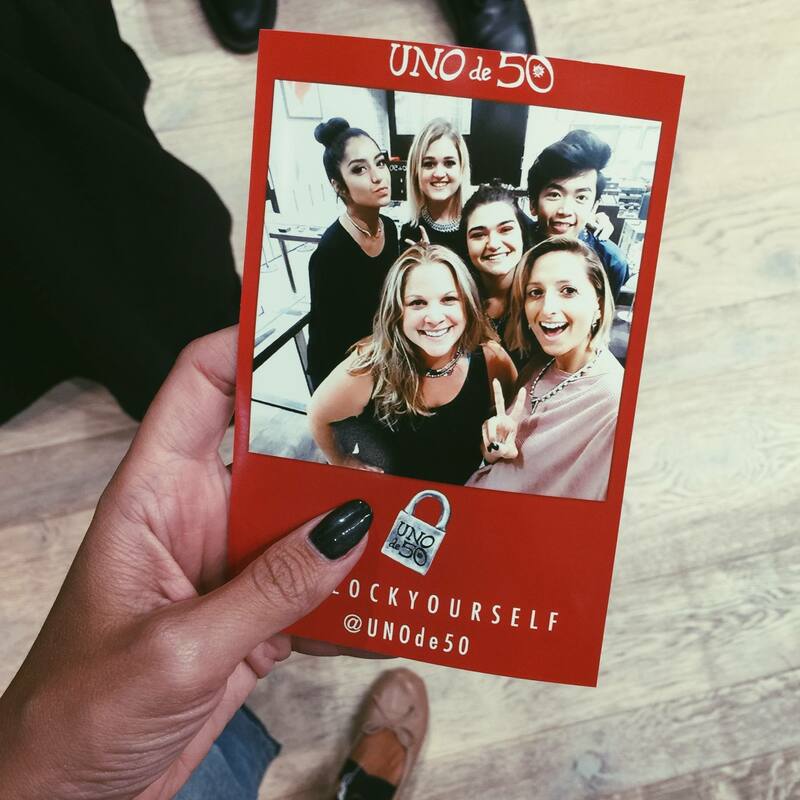 The brand’s #UnlockYourself event revealed their latest Rebel Voices collection for Fall 2016, as well as a live deejay spinning all my fave hits, yummy sips, treats and even a photo station where you could print out any images posted online using the event hashtag. 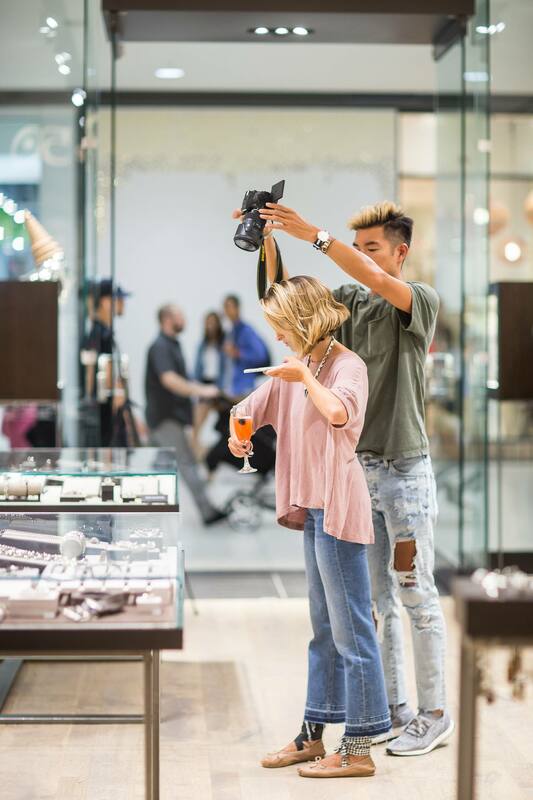 I had so much fun meeting and greeting everyone who came out to the event – and styling all the beautiful jewelry in store. 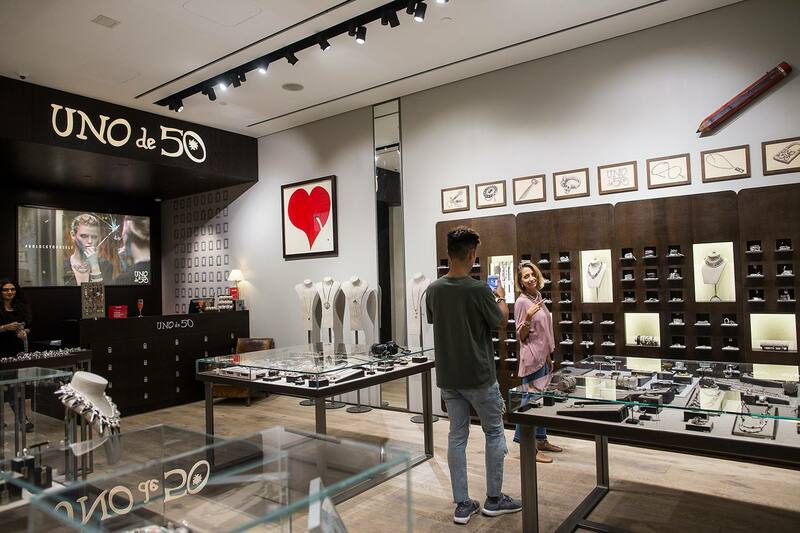 UNOde50 is a brand with lots of heritage and creativity behind it. If you’re looking for a piece of jewelry that tells a story, this is definitely a brand to check out. It was so hard for me to pick just one look to wear on the day of the event! Seriously. I love everything in that store – and I also really enjoy knowing the pieces are not mass produced. Each piece is numbered and each UNOde50 boutique only carries a limited size run. 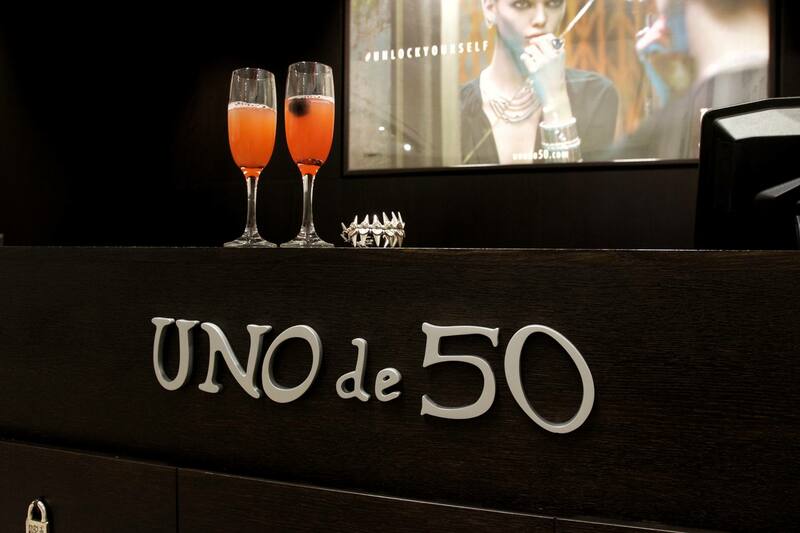 A creative team in Spain founded the brand in the 90s by making only fifty pieces of each style – hence, one in fifty (the literal translation of UNOde50). Nowadays the brand has expanded all over Europe and North America, opening two stores in Toronto and soon, in Montreal. Every time I walk by the store at CF Toronto Eaton Centre, I am mesmerized by the window display – everything is beautiful. Everything is Instagram-worthy. 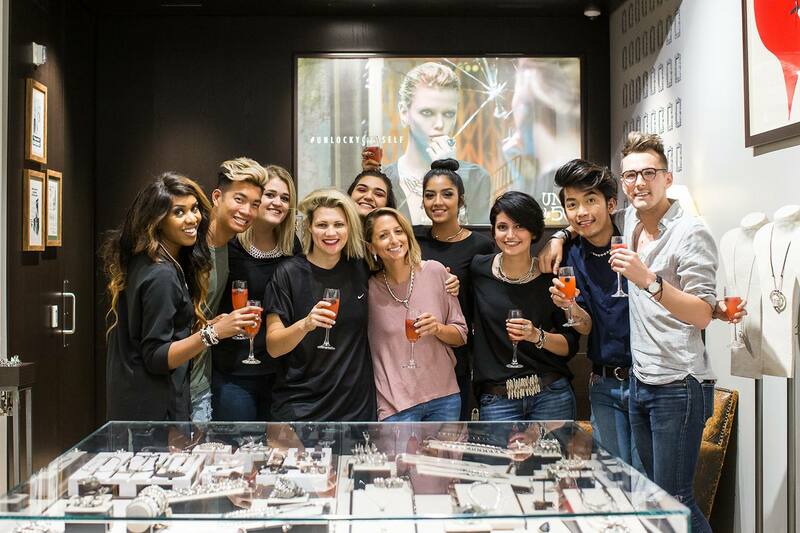 And everything, more importantly, uses the finest of materials like sterling silver and Swarovski crystals. Each collection has limited edition pieces as well. The Rebel Voices limited edition necklace, a run of only fifty pieces – harking back to the brand’s beginnings – is absolutely breathtaking with Swarovski crystal shark teeth set in sterling silver. NB: There is only one of these limited edition necklaces available at CF Toronto Eaton Centre at the moment, so I would hurry if I were you. 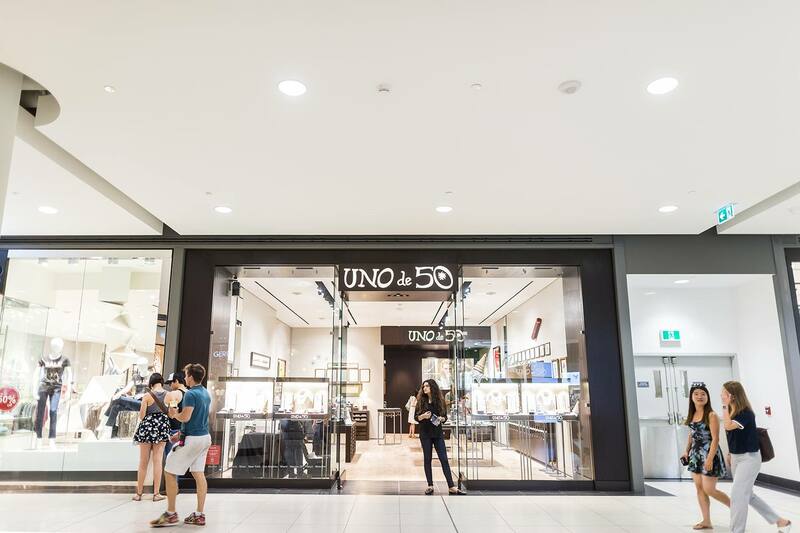 If you haven’t had the chance to visit the UNOde50 boutique yet, start by taking a look at all their stunning pieces online, and definitely drop in next time you’re at CF Toronto Eaton Centre. 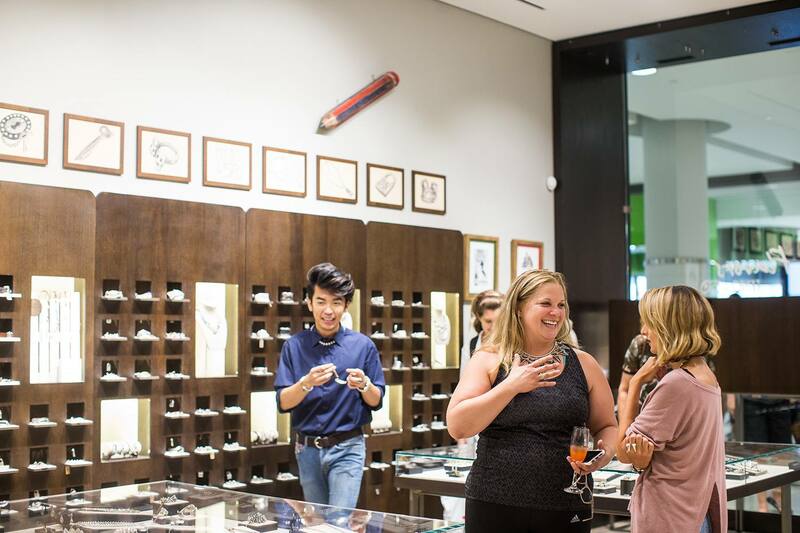 It’s a whole new world of reasonably priced jewelry to add to your collection. For one thing, I’m totally hooked on the brand and cannot wait to style more of their pieces soon. I love how edgy and elegant the bracelets, rings (love the knuckle rings!!! ), necklaces and earrings are. 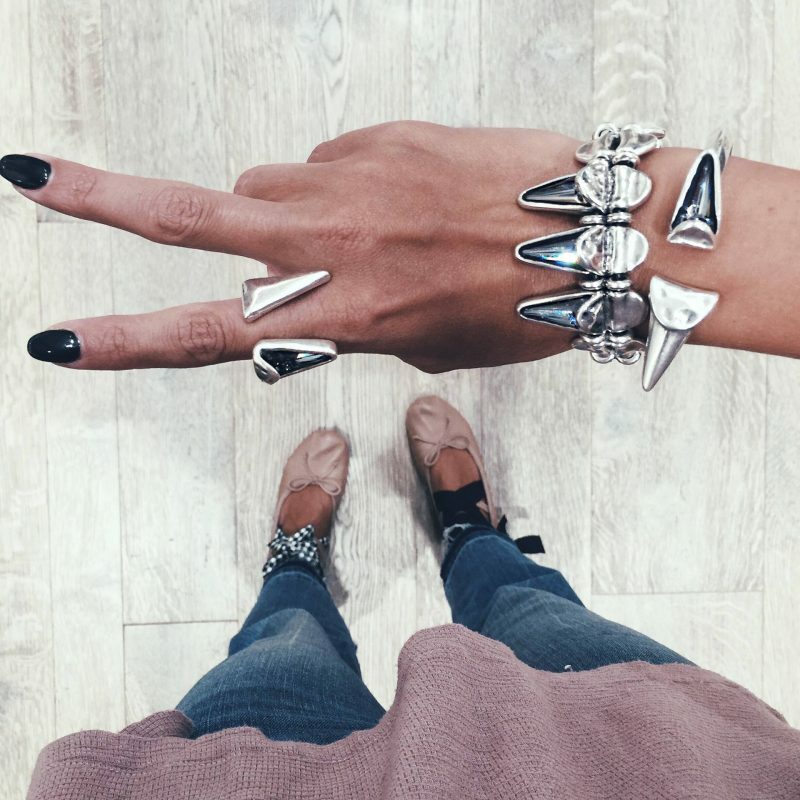 Adding a piece of UNOde50 jewelry to any outfit can give your look a whole new level of chic. This post was sponsored by UNOde50, however the opinions are my own. Photography by Alexander Liang and Sandy Tam. Great post to read. I am new to city and will be staying here for a couple month – wondering if you were hosting other interesting events in Toronto?